International research involving Macquarie University has revealed new information on dangerous rip currents that could help save lives on Australian beaches this summer. The groundbreaking research using camera and GPS technology has revealed rips are most intense when there is an absence of waves breaking across the end of a rip channel. When waves break across the end of a rip channel, it essentially closes the channel and stops the current from travelling far offshore. But when there are no waves breaking across the channel, rips can head offshore, potentially pulling swimmers outside the surf zone too. As summer begins, the findings could help lifesavers and swimmers determine which rip currents are more dangerous. Macquarie University’s Shari Gallop worked with the Universities of Southampton and Plymouth in the UK on the latest study into rip currents, and builds upon research that combined video images and GPS drifter data with information recorded using current meters and water level sensors. “This research will help people understand the dynamics of rips better, and could potentially save lives at Australian beaches,” said Shari Gallop, lecturer in Macquarie University’s Department of Environmental Sciences. “This study is unique in that we combine video and GPS drifters to determine what makes rip currents most dangerous. “We found that rips can be potentially more dangerous when you don’t see any waves breaking across the rip channel. This is because these rips can reach past the surf zone, rather than circulating inside it. Rip currents are the number one hazard on Australian beaches and it is estimated there are about 17,000 rips at beaches around Australia at any one time. As they can be hard to spot, these findings will help people make more informed assessments as to the dangers they may face at the beach. Swimmers caught in a rip should stay calm, and not try to swim against the current. Stay afloat, signal for help and, if you can, try to swim towards the white water. 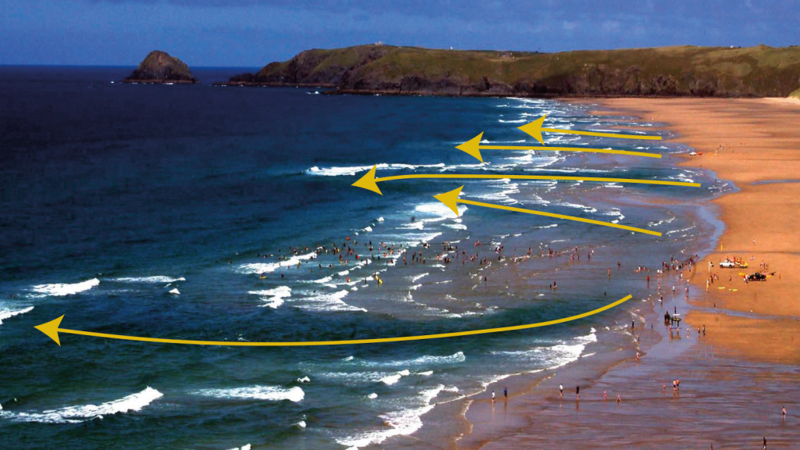 Pitman, S, Gallop, S. L., Haigh, I.D., Masselink, G and Ranasinghe, R (2016) Wave breaking patterns control rip current flow regimes and surfzone retention. Marine Geology (doi:10.1016/j.margeo.2016.10.016).